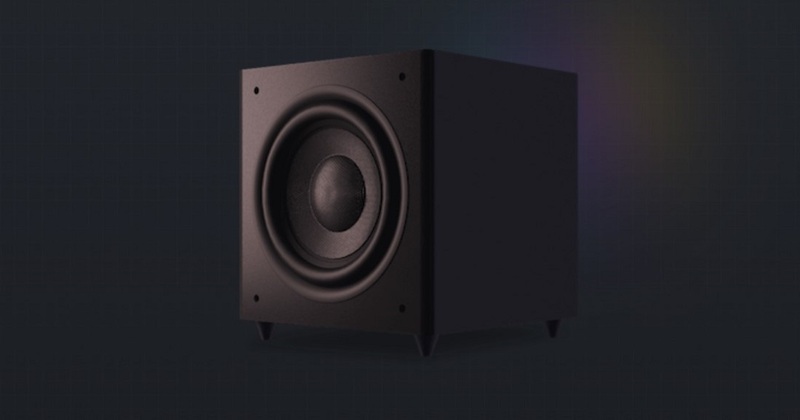 The hardest part of implementing a subwoofer in a system is achieving a seamless match to the main speakers. Syzygy makes that task easy by first automatically matching the SLF870 to your room, which makes integrating it with your main speaker a lot simpler. This is done with a sophisticated remote system—your iPhone. Syzygy’s app uses the cell phone’s microphone to measure internally generated test tones in the room and adjusts the subwoofer output for flat response. Then a sweep tone is used to match the main speakers and subwoofer. And the Syzygy offers another big advantage. Normally you have to run long, possibly expensive interconnects from your amp or preamp to the subwoofer; Syzygy elegantly avoids that problem by using a wireless transmitter to send the bass signal to the subwoofer. With a 1200-watt amplifier driving a 12" woven-fiber woofer in a sealed enclosure, the SLF870 can generate respectable bass levels. And its 40-pound weight makes it easy to try out anywhere in the room. Removable rubber feet let you point the cone downward or forward. Oh, yeah, it’s also kind of a bargain at $999.